Spring is the perfect time of year to pay a visit to Arne, the fantastic RSPB Nature Reserve close to Langton House. At less than half an hour’s drive away, it’s an easy one to reach for a day trip and is full of all kinds of wildlife, especially this time of year. The site is located in southern Dorset on the Isle of Purbeck. The headland juts out into the Wareham Channel and overlooks Poole Harbour, meaning there are fantastic views and a wonderful array of habitat for all sorts of wildlife. 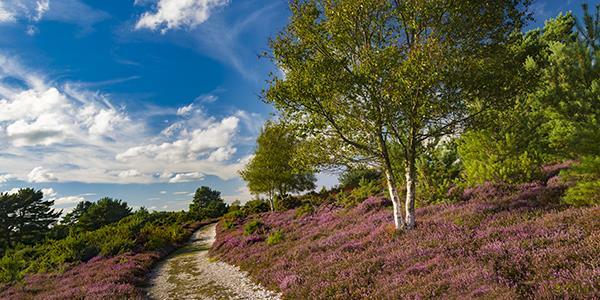 Most famous for its Dorset heath, which is a rare species of heather native to this part of the country, the reserve supports breeding Dartford warblers. 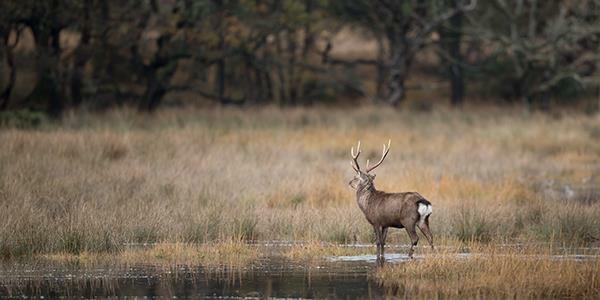 It is also home to grassland, flat salt marsh ideal for ducks and waders, ancient woodland where sika deer can be spotted and reedbeds as well! In total the Arne Reserve is almost 1,400 acres in size. There is a visitor centre on your way in and here you’ll find all sorts of information and tips for what to keep a look out for as well as live nest camera footage, a cafe and toilets, a shop and much more. You can walk the heathland trails around the island and enjoy the varying landscape. This is a great little reserve for birders; keep your eyes peeled for avocets, Dartford warblers, little egrets and nightjars. You might also be lucky enough to spot some of the island’s reptilian inhabitants as the weather begins to warm up. Sand lizards and smooth snakes are best ones to look out for, but you’ll have to be extra quiet if you want to be in with a chance of seeing them, they’re pretty timid! From Wareham town centre, just follow the South Causeway to Stoborough and from here there will be signposts directing you along Arne Road right into Arne. The car park will be just before the village. Coming from Langton house you want to head north and then bear east on Soldiers Road until you hit Arne Road. Remember if you’re bringing dogs with you to keep them on leads, and to take extra care with them during the breeding season. There are guided walks on offer, not to mention a long programme of events to get involved in. The trails of the reserve are open at all times, but the car park and the facilities do vary so check the website before setting off. Find out how you can stay at the lovely Langton House by popping your details in at the bottom of the page for a free brochure.